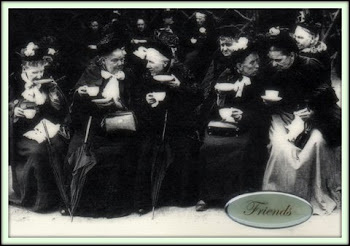 January is National Hot Tea Month, and of course a post in its honor is in order. 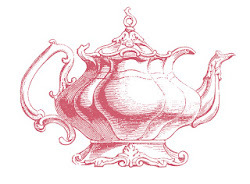 Named thus by the Tea Association of the USA, its purpose is to promote the value of a hot cup of tea. The claimed health benefits of tea are many, ranging from an increased immune response to the reduction of heart disease and cancer. 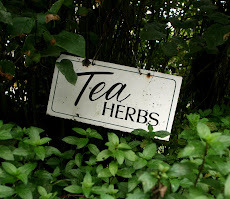 To research the benefits of this herb, check out the Tea Association website. Seeking to draw attention to this designated month, my mind skipped through a variety of things I could write about. 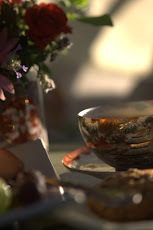 Teapots, teacups, gawan porcelain bowls, and three-tiered trays all came to mind. 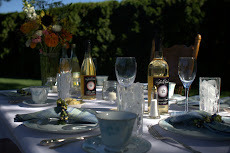 But finding the obscure or unusual to celebrate this cozy past-time seemed important. I decided to share with readers about a very interesting and out-of-the-way place in Death Valley, California. 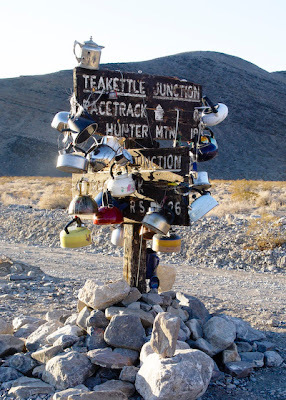 Located twenty miles from Ubehebe Crater, eighteen miles from Hunter Mountain, and six miles from Racetrack on a remote and rugged road is a junction named Teakettle. A hundred years ago, miners in search of wealth and adventure would pass this way and mark the junction by placing a teakettle in it's spot. First one, then more teakettles have been added until it's become quite famous as a place to leave one's mark by adding a teakettle of one's own to the stash. 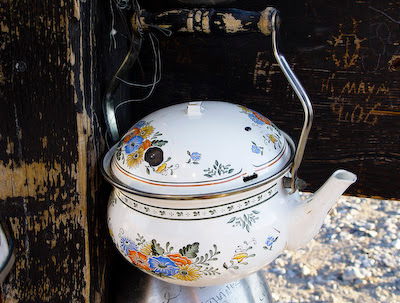 Visitors leave a teakettle, signed and dated for others to see at this remote junction. 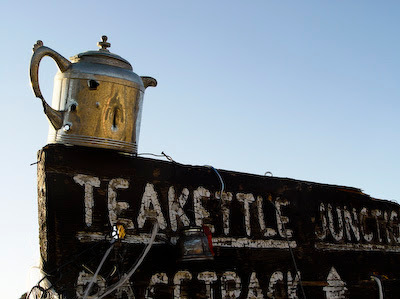 It appears that teakettles serve a serious place in American history, even in remote desert places! 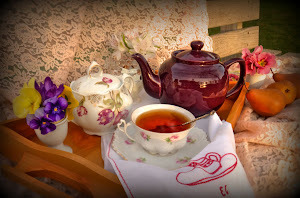 If you decide to add a teakettle of your own, be sure to take a spare tire or two with you. The road is very rough and scattered with sharp and jagged rocks! A Death Valley mule might be a better, albeit slower mode of transportation! A visit to this historic spot allows the imagination to travel back in time, wondering who passed this way before and what type of delicious hot tea they served around a campfire and with whom it was shared. 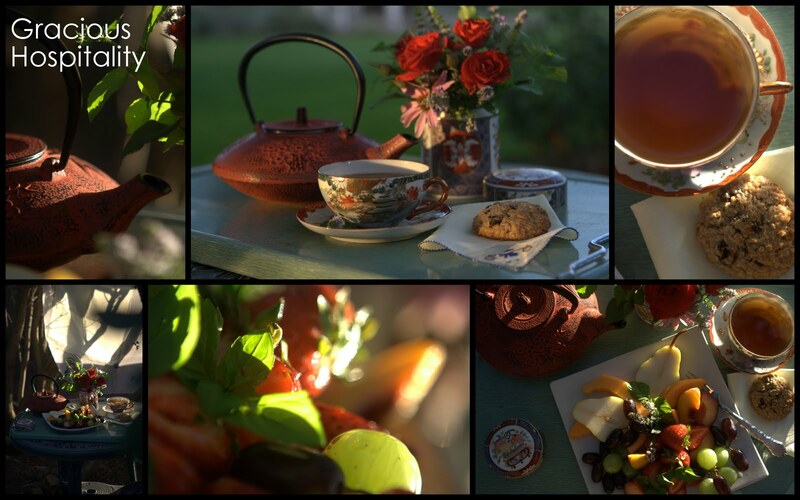 Happy National Hot Tea Month! How interesting! Loved seeing some of those tea pots. Did you leave one as well? 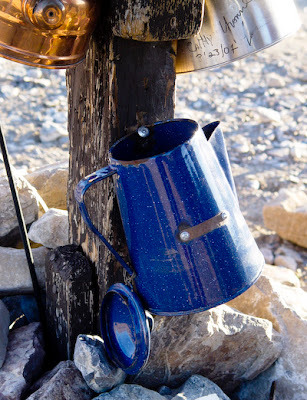 I am having trouble thinking of camping on the trail there in connection with a delicious cup of tea...it must have been bracing and comforting! What a fun signpost to see. 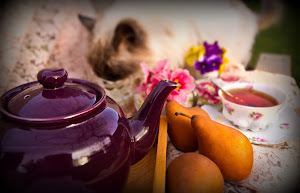 Happy Tea month to you! I love visiting this signpost with you. Happy Hot Tea month to you! Drinking plenty of it right now just to keep warm. What fun! 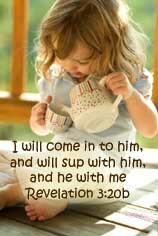 I'm off to have a cup of hot tea!